Let's get it out of the way right at the top: Google is a creepy company that's only getting creepier with its hideous camera glasses and driverless ghost cars. When a company puts "Don't be evil" right in its corporate motto and IPO prospectus, and treats it like some kind of badge of honor? That's creepy. I mean, I don't tell myself every morning, "Don't kill anyone today," make it my motto, and then brag about that. OK, I admit it: I actually use a ton of Google products and tend to love them because they really do make my life more convenient. But it's a creepy exercise anytime you sit and think about all the data you just hand over to this face-cam-wearing company on a daily basis. So Google's $3.2 billion all-cash purchase of smart thermostat maker Nest is just one more chance to play the Scary Google game. But once all the jokes on Twitter die down, this is a super smart move on Google's part too. 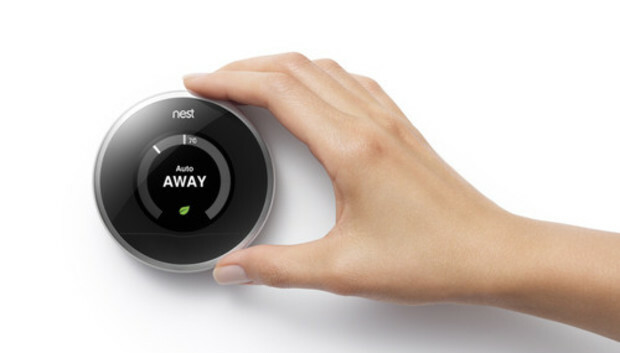 Google really isn't a hardware company, whereas Nest is all about great design. People like Nest because it really does nail the trifecta of software, hardware, and service. That killer hardware-software combo has really worked for Apple, although it still trails Google on the cloud-services side. Google rocks at software and services, so it needs that hardware mojo. The Moto X is a great phone, and people like the Chromecast, but Android @ Home fizzled out--Lighting Science, the hardware company that was making compatible LED lightbulbs, has scrubbed any mention of Android @ Home from its site, and Google's own Nexus Q device had a rough "beta" debut and then never even made it to market. Google also knows that you can't dominate the Internet of Things without things. Its Chromecast is a decent entry into the living room space, although a TV stick controlled by a smartphone does not a connected home make. The Nest's slick take on home automation is not only well executed, but also appeals to a wide section of users--no matter how much TV one watches, we all like to have heat. The trend in the connected home space is integration. You no longer want a bunch of standalone devices that are controlled by a separate app for each device. You want an ecosystem of things that talk to each other and are controlled by a single app. Samsung Smart Home, and LG HomeChat, and the Revolv device that will connect up all your existing Internet of Things stuff--that's where we're headed. But that push toward integration also means the bigger companies will probably take over--it's doubtful this is the last acquisition we'll hear about. And big companies have the best chance of figuring out the critical ecosystem synergy (to use an evil term) that will leave the competition in the dust. While people are growing more wary of letting one huge company like Samsung or Google have access to so much data, at least Google is better suited to creating an open platform than a company like Samsung or LG. Nest's Tony Fadell told Nilay Patel of the Verge (on two occasions) that Nest wasn't about the products it was about building the company. Google and Facebook know you can make a heck of a lot of money being a great data company--Instagram was only worth a billion dollars because of the huge wealth of data a good photo-sharing network can compile about the people who use it. Worrying if your $250 smart thermostat is tattling on your whereabouts to Google is a first-world problem for sure. But it will be interesting to find out how Google wraps this acquisition into a complete connected home. And it will be even more interesting to see if the customers who happily invited Nest into their homes will be quite so welcoming to Google.